Many creative directors wax rhapsodic (and incoherently) about their perfume lines and themselves. Just this week Roja Dove claimed he introduced OUD to the niche fragrance world in 2011...over a decade after he was beat to the punch by many others (niche, and non-niche). I smiled when I read this bit of hyperbole on the Serge Lutens webpage: "Section d'Or is infinite. Serge Lutens takes infinity to a new level." Only Lutens can bottle, nay, expand infinity! Read his "writings" if you don't believe me — read too much, and you'll want to head beyond infinity yourself for some brain-rest! I'm not going to revive the topic of L'Incendiaire's price: $600 for 50 ml of parfum; and I didn't tell my best perfume-sniffer buddy what he was smelling when I applied L'Incendiaire on his person. I laughed aloud when he thoughtfully commented: "It's nice enough...a poor man's Bois d'Encens." L'Incendiaire goes on smelling of warm, liquor-y (slightly medicinal) stone fruit mixed with a delicate benzoin-rich incense (part smoky, part ashy). Almost upon contact with skin, L'Incendiaire becomes subdued and soft. I was expecting some fiery spices but all I got was a "leather"-tinged vegetal musk aroma that reminded me of cooking (a hot-oil scent). On me, L'Incendiaire provides no crackle, sizzle or sparks; it's cozy. No particular notes stand out in L'Incendiaire after the fruity-incense opening: there's a light haze of mellow wood, some musky labdanum. L'Incendiaire is one well-blended perfume (its sillage is weak, its lasting power is average). I like L'Incendiaire well enough, but my overall reaction was (and remains after several wearings): "Is that it?" L'Incendiaire is obtuse...and there are plenty of incense perfumes that put it to shame (Bois d'Encens being one). 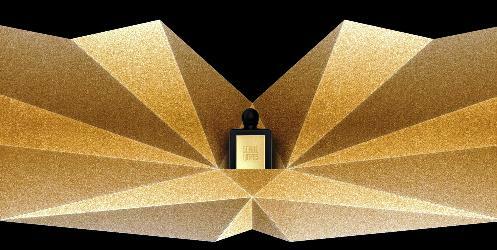 Serge Lutens L'Incendiaire is available in 50 ml Parfum; for buying information, see the listing for Serge Lutens under Perfume Houses. Lutens threw in the towel long ago. I’d hoped this one would reclaim the glory (and yes I’d willing to shell out $600 for such a work) but after paying $100 for a 5ml split I was met with the ultimate letdown. “Is this it?” is the perfect descriptor. Not only that but it’s very weak. Lutens used to be the house that led the pack in originality, now it appears to be looking around in panic as other houses race by it. For years now they’ve released tacky floral after tacky floral and now that Shiseido has retaken the reigns I’m certain the house of Lutens is gone for good. At least we got Chergui and some other masterpieces. Holy cow…I guess it makes sense that a split would be expensive but still, I’m sputtering. I tried it, didn’t think it was all that and a bag of chips so sent it to Kevin in case he liked it more. Nope, we’re at about the same level of “like”. AnnieA: Or was it Peggy Lee!? HA! Plume: OMG…the price for that split! But I believe it…I was offered a 1 ml sample vial for $28! Kevin, I appreciate your biting humor and always get a kick out of reading your reviews. This article just upgraded my subpar day. I like Lutens a lot but haven’t tried any of the new stuff and am in no hurry to. allgirlmafia: It’s been awhile since I bought a “new” Lutens. All mine predate Miel de Bois (a favorite). Perhaps a foolish, rich man’s Bois d’Encens? AnnieA: I put on some Bois d’Encens and feel better already! Uday: yes, I enjoyed that comment! If the fire solely resides within Serge and not the perfume, perhaps he will embark on the new venture that is making a business of capturing the scent of one’s dearly departed, and will also purportedly be available in the near future for the living. Holly: or indulge in some enfleurage/enSergage to share his own personal fire? Kevin, there could be so many variations the mind boggles. On one hand, it’s disappointing that the scent is disappointing, but on the other hand, I’m grateful you put to bed my desire to try L’Incendiaire. L’Orpheline and La Religieuse lacked magic for me, too, so maybe I just need to check my hopes for SL’s incense at the door. Eleebelle: it’s EXPENSIVE to sample this one, unless you find a bottle in a store that’s not under lock and key or protected with motion detectors. I am hoarding my sample of L’Incendiaire. I like it but not $600 for 50 mLs like. If it goes to the discounters at an attractive discount, I may consider buying a FB but since one spritz lasts all day on me, I can probably have a lifetime supply if I get a free sample here and there. hajusuuri: wow…it does not last anywhere near all day on me with even several sprays. YMMV – I’ve tried it several times and it was not an anomaly. I liked it… but not $600-like. If it were, say, $75 for 50ml, I’d spring for that. But I wouldn’t pay much more than that, I have plenty of other smoke/incense scents that are more fun than this one. Pixel: it would be hard to justify that price tag with there being SO MANY great incense perfumes out there to choose from…at all price points. If M. Lutyens has a fire inside intense enough to increase infinity, maybe he should see a gastroenterologist. I know nothing about the scent but this one of your best written reviews, and they are all so great. That would be Magnificent Excretions. Dilana…hahaha! There is certainly hot air involved. I guess the most recent SL that I really loved is Daim Blonde (2004). I also liked Vitriol d’Oeillet enough to buy an inexpensive partial bottle. I would think it would be terribly alienating for a perfumer to have to cope with IFRA, like being a painter and having the colors banned one by one. FYI – Bois d’Encens layers beautifully with Aftelier Ancient Resins oil. Noz…good to know; I’ll try that combo. It’s hard to keep away from the topic of price with this because really, the price seems the most remarkable aspect of this scent! Donanicola: that spray was probably “worth” $30! HA! “Is that it?” is right. Me and some fellow perfume lovers sniffed this one…we were all in agreement-it was soooo not worth the price. To charge that much for such a subpar scent..put “Lutens” on it and people will pay..some may even like it but those who know some perfumes..will not..cause they know there are better scents for a much cheaper price. Lutens has gone down hill lately….. the latest jasmine scent..smelled so synthetic. Profundis, another one that had me saying, “Is that it?” after such a blown over description from Lutens. I can’t take his perfumes as serious anymore..at least the newer ones. Fille de Berlin is brilliant and many others. He’s still a fave..but losing that lovin feeling. Omega: Lutens’ “statements” and now, films, can make you think SOMETHING good, or at least interesting, will happen. But, mostly: no. His advertising is just like others’ ads when it comes to the connection between imagery and the perfume’s aroma. I’m rather sad to see it was underwhelming, but honestly, Serge L. hasn’t been on my rader for a while. The last few perfumes did not work at all on my skin. He has created several beautiful perfumes that I own/love but even IF it were beautiful or unusual, I could never justify paying that price for 50 ml!! I’ll probably be chased by an angry mob (with pitch forks), but perhaps it’s time for him to move on? Or maybe I’m a bit jaded? Smokey…becoming jaded is part of the process! Lucky for me to know a wonderful CFexpert at Barney’s who made me a sample. I found it beautiful unlike Cannibale which started well and went quickly to screechy mess. The price of either seems prohibitive. Am I the only one who thinks cannibal regardless of spelling is not something I would want no matter how good it smelled?